Iconic denim brand Levi’s is bringing its ‘tailor shop’ concept to the Canadian province of Quebec for the first time. The new 3440-square-foot store landed in the Montreal Eaton Centre last month, following a renovation of its prior location. 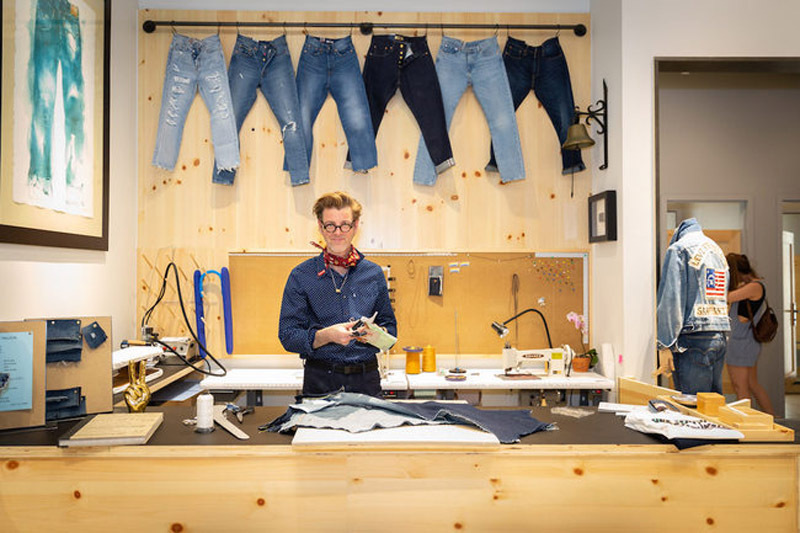 The Levi’s tailor shop offers custom embroidery, tailoring, hemming and a wide selection of pins and patches, to personalise denim pieces with the help of specialised craftsmen, according to the company. The customisation area is located near the back of the store. The newly inaugurated tailor shop is the fifth of its kind in Canada. The first two locations opened at the end of 2016 at Toronto’s CF Sherway Gardens and at Square One in Mississauga, followed by two other openings in Alberta, in 2017. Levi’s in-store offering taps into a trend retailers have recognized and adopted in recent years: customization. Canadian retailer, Roots, has a similar offering at select store locations, dubbed the 'Customisation Workshop', a space which allows customers to customize and personalize Roots heritage styles. Meanwhile, sportswear giant, Nike, at the same time offers customisation options for everything from jerseys to shoes. Most recently, Levi's hosted a pop-up customisation lab at the Levi’s flagship store on Regent Street. The pop-up allowed customers to give their denim a personal touch with patches, pins, and more.